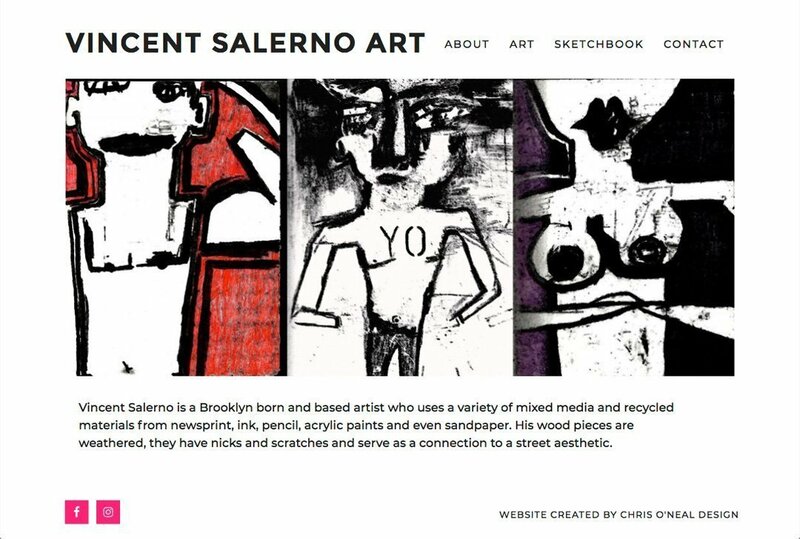 Vincent Salerno is a Brooklyn born and based artist who uses a variety of mixed media and recycled materials from newsprint, ink, pencil, acrylic paints and even sandpaper. 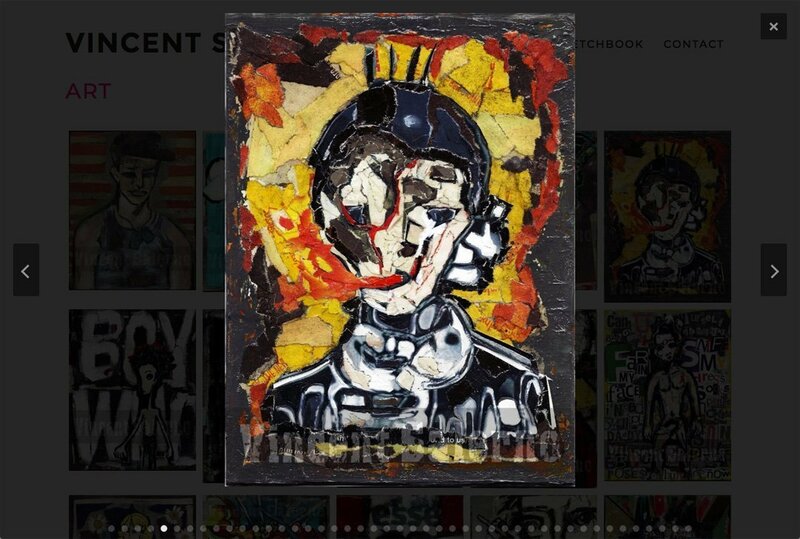 His wood pieces are weathered, they have nicks and scratches and serve as a connection to a street aesthetic. 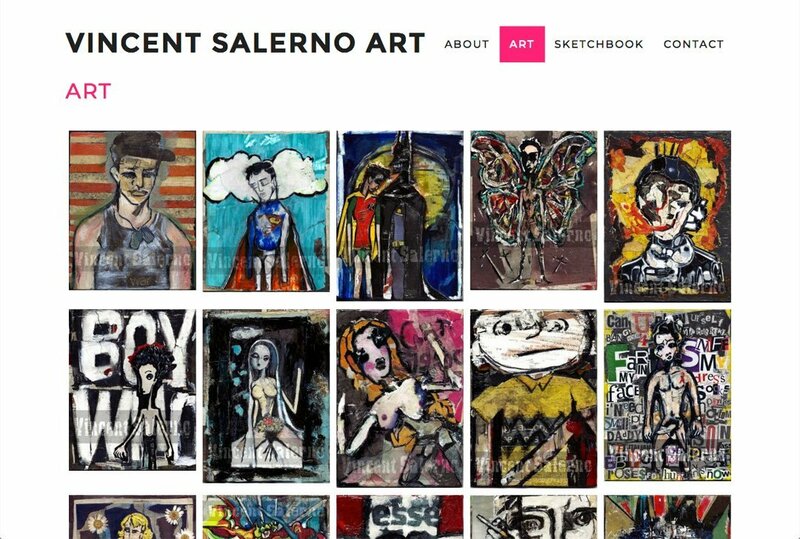 Chris made getting my artwork out to the world on a great looking website so easy! With minimal input on my end he was able to organize my art and ideas to create the perfect website just for me, all the while maintaining a relaxed and positive attitude.